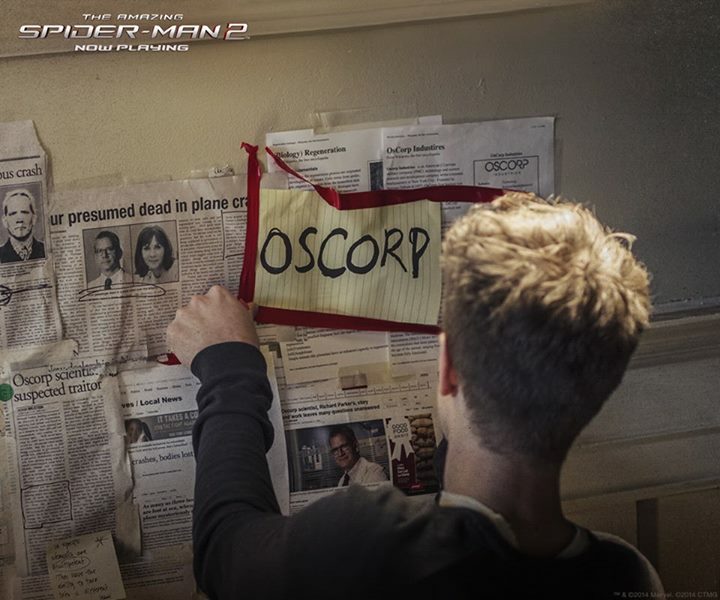 The Amazing Spider-Man 2 - Oscorp. . HD Wallpaper and background images in the Spider-Man club tagged: photo the amazing spider-man 2 2014 peter parker oscorp. This Spider-Man photo might contain jornal, papel, revista, tablóide, pano, and tabloide.